3M Stikit Gold Sanding Discs are a mainstay of marine and automotive sanding and finishing operations. 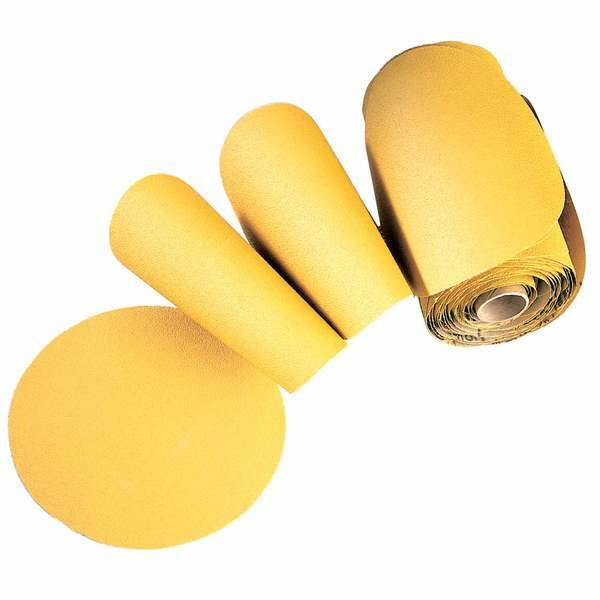 If you are an industrial user of disc abrasives, you probably are already familiar with the advantages of 3M's line of Gold Sanding Discs, which provide dependable performance at a moderate price. If you are a do-it-yourselfer with a boat who is getting ready for a haulout, consider purchasing one or more rolls of these discs. Depending on the coarseness, discs can be used for sanding bottom paint removal, sanding marine paints, and sanding gelcoat and primer systems. Discs feature a single roll tear-off format and Stikit™ adhesive attachment, making them fast and easy to use. Aluminum oxide mineral abrasive with film backing balances aggressive cut with a consistent finish. Anti-loading coating helps clear dust from the disc surface for longer life.